Living the Questions – “Saving Jesus” is a six-week study (may be extended to 12 weeks) that takes a critical, progressive, historical look at Jesus. Ever feel like Jesus has been kidnapped by the Christian Right and discarded by the Secular Left? 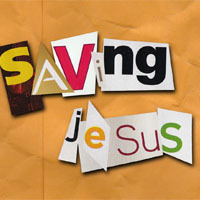 Saving Jesus Redux is total revision of Living the Question’s popular 12-session DVD-based small group exploration of a credible Jesus for the third millennium. New contributors including Brian McLaren, Diana Butler Bass, and Robin Meyers join Marcus Borg, Walter Brueggemann, John Dominic Crossan, Matthew Fox, Amy-Jill Levine, and a host of others for a conversation around the relevance of Jesus for today. For a video sample of this study, please click here .